See post below for more details and photos. Bill Janovitz and John Tse Lexington, MA, United States We are the NUMBER ONE real estate marketing and buyer agent team in Lexington, MA with William Raveis Real Estate. 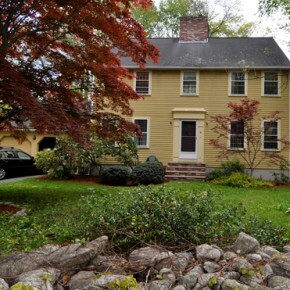 We market and sell all types of homes in Boston's surrounding towns. Email us at the "Contact" tab at the top of the page, or call Bill at 781-856-0992 or John at 617-851-3532 with any real estate questions. Read more about us at the "About Us" tab. Also, check our Facebook page for updates. (Sold) Great Value in Lexington! © 2010-2012 Janovitz-Tse.com. All Rights Reserved.